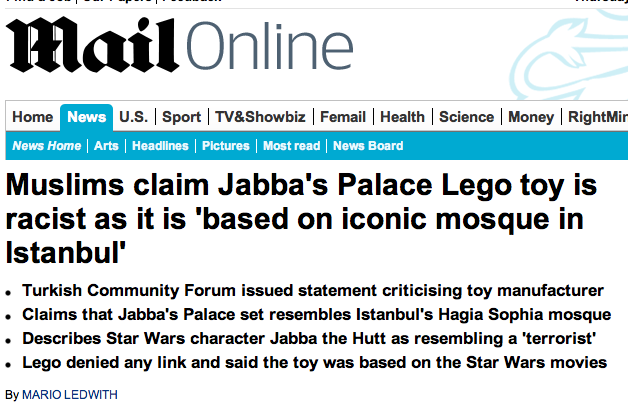 Anyway, (some) Muslims are now offended by Lego designing a Lego set of Jabba the Hutt, because they think that the buildings in this Lego set (that’s Jabba’s home) look like the famous mosque of Istanbul, and some claim another part of this model looks like another mosque in Beirut. Confused? you should be, but this actually gets worst, because the religion of peace who takes offense to, well, almost anything, now finds offense in resemblance of toy models is also deeply offended by the fact that Jabba himself looks a little like a “terrorist” – hence a Muslim (??? not all terrorists are Muslim, and not everyone in a place that might slightly resemble a mosque is a Muslim, right?). 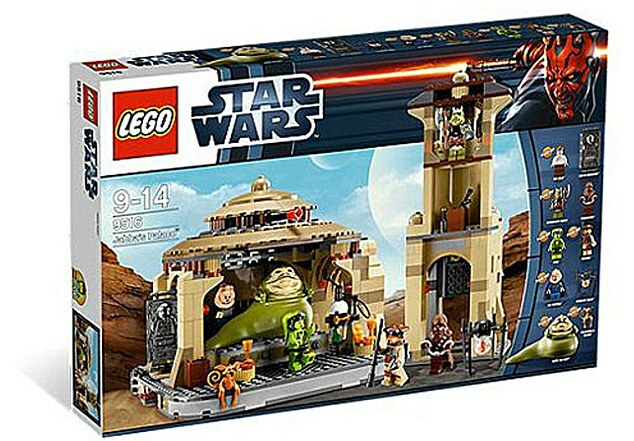 So (some) Muslims are deeply offended by the whole thing, Lego, Star Wars, Jabba the Hutt and the kitchen sink, they do not approve, it just brings up so much bad taste that this Lego set would be better off discarded in some remote corner of this world. Next they will target car designs and chairs. The other thing here is that the famous Istanbul mosque used to be a Church, its not a “child of Islam” but rather a great Church of the Byzantine empire, who was robbed from the Christians and converted into Islam, so its not even something that was built with the idea of Islam in mind, but of Christianity.